In an event that probably has no precedents in the history of the Jewish People, a synagogue will be named after a Gentile, Raoul Wallenberg, a Swedish diplomat who rescued scores of persecuted during the Holocaust. 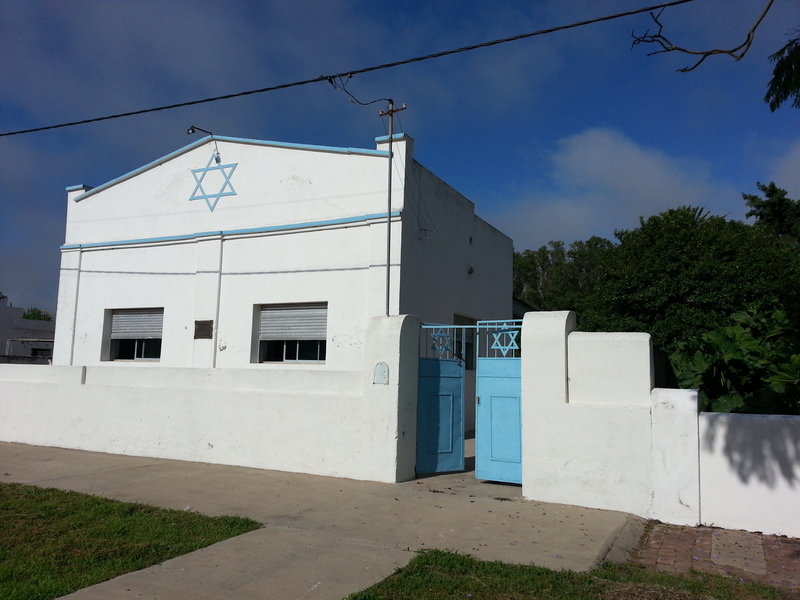 The Synagogue is located in the village of Las Palmeras, a tiny little Jewish Colony in the province of Santa Fe, a few miles away from Moisesville, one of the best known Jewish colonies in Argentina. The decision was made by the International Raoul Wallenberg Foundation, an educational NGO based in New York. The said organization, presided by Eduardo Eurnekian and founded by Baruch Tenembaum, consulted with numerous religious authorities regarding the adequacy of identifying a Jewish temple with the name of a Gentile. In this respect it is worth singling-out the opinion of the Chief Rabbi of Israel, David Lau, who enthusiastically welcomed this initiative. Among other concepts, Chief Rabbi Lau points-out in his letter that “the heroic image of Raoul Wallenberg represents a symbol for all the inhabitants of the planet. This is a singular man, a Righteous among the Nations who, in the darkest era of history irradiated a powerful light of truth and devotion”. “Raoul gave hope to thousands of wretched souls and to them; he was a life-saver. The circumstances of his disappearance, which even today are shrouded in mystery, have left an indelible wound in all our hearts”. “It is clear that there is no Halachich objection to naming a synagogue after him. On the contrary: This would represent a minimal expression of recognition of goodness owed by so many Jews to this marvelous human being”. 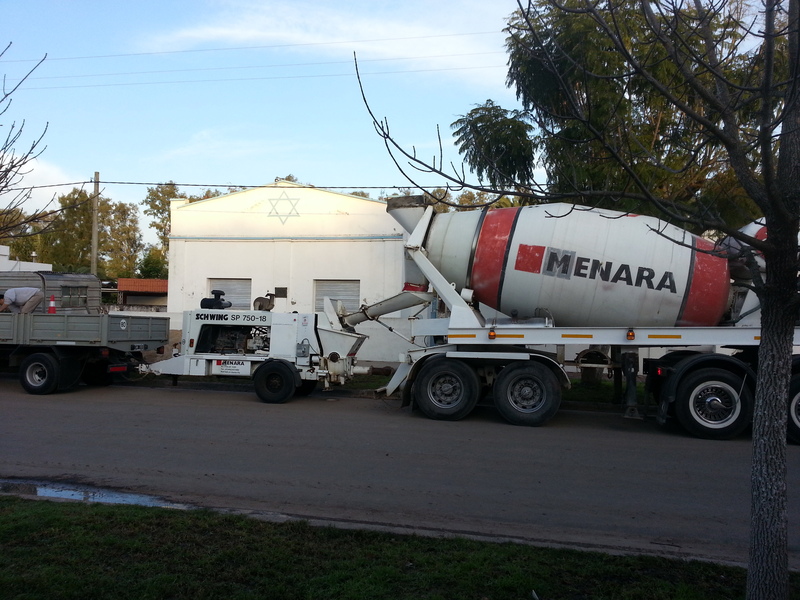 The reconstruction works of the synagogue will start will full force after the site was declared as a Historical Monument by the Province of Santa Fe. The upgraded facilities will include a section with historical ornaments and services for tourists. The religious aspect will not be neglected as two Sifrei Torah (Scrolls of Law) will be reinstated, after undergoing thorough revision and approval, to replace the missing unites after fifty years of inactivity.The reconstruction works will be carried-out without the support of the government or any public entity. It will be financed entirely with private funds. The reforms will be carried-out under an agreement signed in 2013 by the Governor of the province of Santa Fe, Antonio Bonfatti and the illustrious citizen of the province, Baruch Tenenbaum, native of Las Palmeras. At the same time, the provincial government took on the responsibility of performing maintenance tasks, after the completion of renovations and remodeling. Once the work is completed, the province will assume the commitment of meeting the expenses required for the adequate maintenance of this historic building. “In recent years the province promoted a historic preservation program consisting in the restoration of historic buildings throughout the province. Therefore, we did not hesitate to support this initiative, that encourages the preservation of our culture and our traditions,” said Bonfatti. 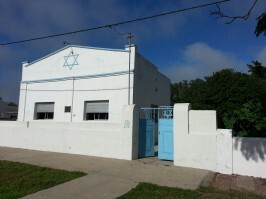 The synagogue in Las Palmeras is one of the oldest in the province of Santa Fe and is “a historical and architectural emblem for all Santa Fe,” added the governor.